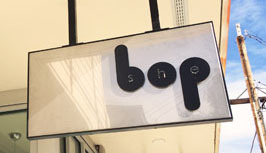 She Bop is now open! Come visit us at 909 N. Beech St, just off Mississippi Ave. We opened our doors on Friday and have had a great response from everyone who has come in. We’ll be here everyday from 11am-7pm. We look forward to seeing you! We are happy to report that Jeneen and I have finally signed a lease and will be getting the keys to what is soon to be She Bop tomorrow! We are hoping to open the day after Thanksgiving if everything goes as planned. She Bop will be located just off N. Mississippi at 909 N. Beech, just around the corner from Pin Me. We are working like crazy to get everything ordered and ready to go. Exhausting, but fun! However, we will try to make the time to keep everyone up to date on our progress. You can also check out our website (which is in the beginning stages) at sheboptheshop.com. Wish us luck!